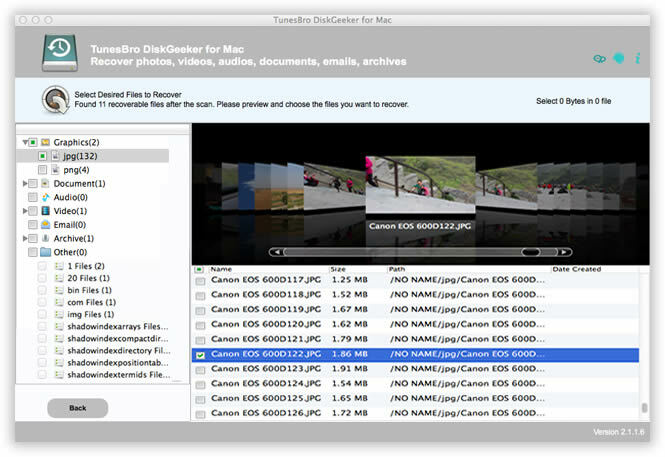 Embedded with award-winning recovery engine, DiskGeeker for Mac is able to quickly identify deleted or formatted files on all kinds of computers powered by Mac OSX or macOS. Unlike other data recovery programs, DiskGeeker can recover a wide range of file types, such as photos, office documents, or music, video. What is more, it has impressive support for hard drive, SSD, USB drive, SD card, memory stick and camera card. File deletion happens a lot in our daily life and there are numerous cases to cause data loss under different situations. 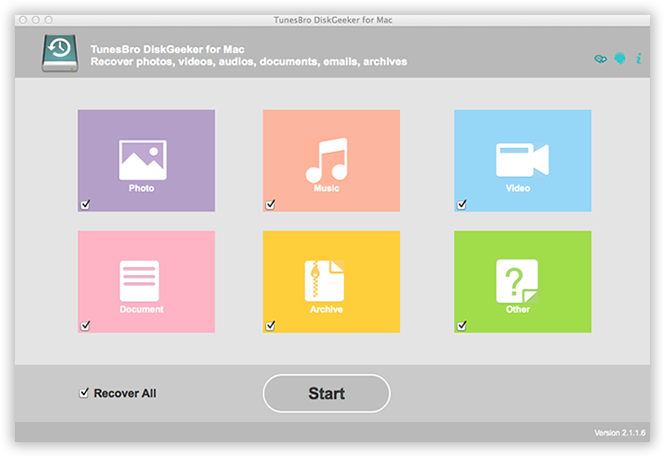 At the first stage of developing TunesBro DiskGeeker for Mac, we bare all the cases we could think up into this program to make sure the customers will benefit from it. No matter the file was accidentally deleted, formatted by other tools, lost due to virus attack or wrong operations, DiskGeeker is able to bring back the files at its maximum possibility. Retrieve all types of data from accidental deletion, wrong operation, or emptied trash bin. Restore lost or deleted partition from HFS, FAT32, FAT 16 and NTFS file system. 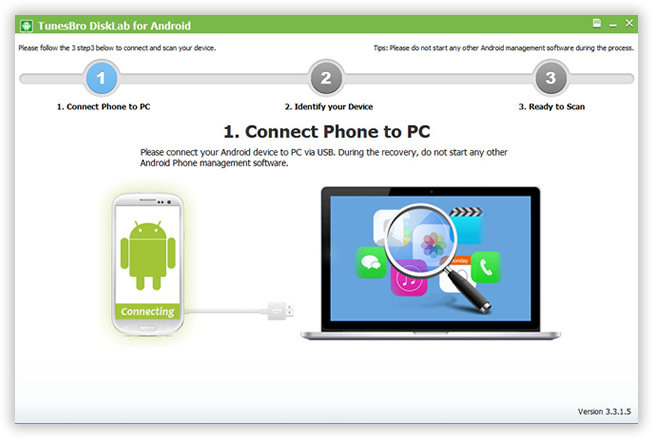 Get back all your lost data from factory reset, software update or os upgrade. Compatible with all external drives attached to mac, such as SSD, USB or camera card. There are hundreds of file types according to Wikipedia and we just can't list all of them in here. What I can type is that all the major file types are well supported by DiskGeeker and you can test it in just a few minutes. Hard Drive WD, Seagate, HGST, Toshiba, LiteOn, Panasonic, Hitachi etc. Lexar, SanDisk, Delkin, Kingston, Sony, Samsung, PNY, Fujifilm etc. Nikon, Canon, Sony, Casio, Pentax, Olympus, Panasonic, Lumix etc. Kinston, Sandisk, Transend, HP, Sony, Corsair, Lexar, Toshiba, Imation etc. No all people are computer geeks and almost all people dislike command prompts to do computer related tasks. Thanks to the user-friendly design principles, everyone can use the program freely with the help of clean graphics interface. Also, the steps are simple and what you should do is a few mouse clicks. Step 1 : Download and install the program on a Mac. Step 2: Select file type and target drive. 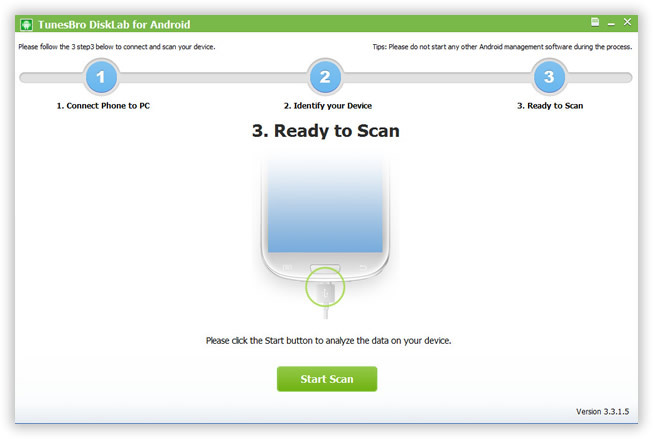 Step 3: Scan and analyze selected drive. 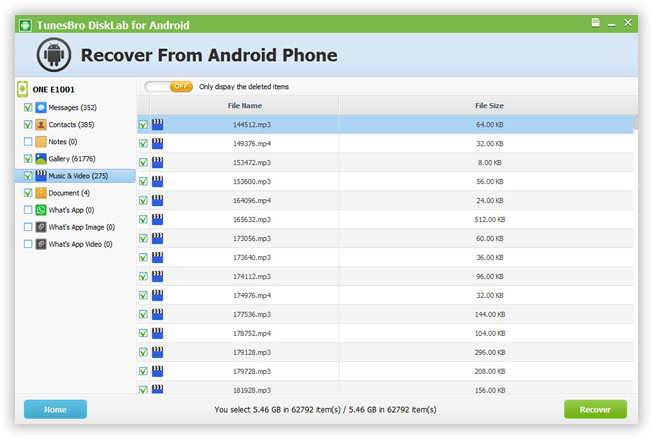 Step 4: Preview and recover deleted files. 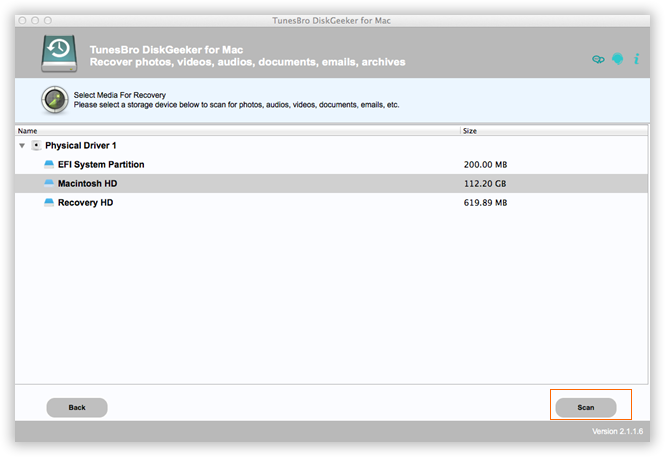 DiskGeeker for Mac was under heavily development for almost a year and it was tested on all major Mac computers and laptops. Since the launch of this program, it has gained a lot of positive feedbacks from popular technical sites such as CNET, Softpedia as well as consumer reviews. "I lost all my personal files due to a system update. Unfortunately, I never backed up my Mac. 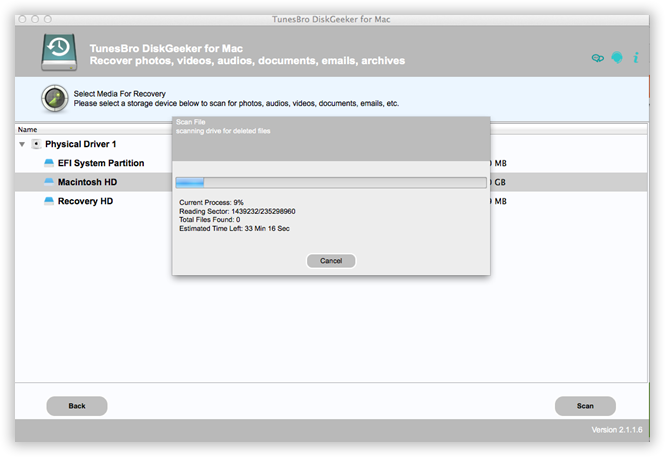 After a few trying out, DiskGeeker for Mac finally got back all my missing files, including some very valuable family videos. 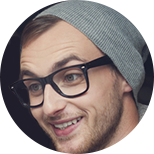 Thank you very much for developing such a great program." 30-Day Money Back policy is guaranteed on all TunesBro products. Virus scan passed. All transctions are protected by SSL. 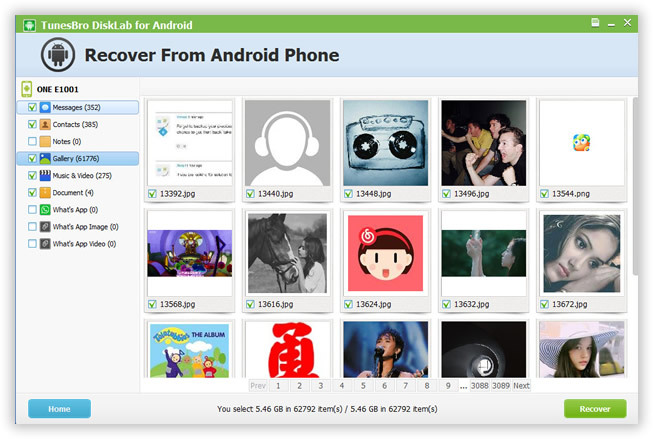 Helped thousands of users get back their lost files.